Is culture a fashion statement? Is it offensive to pick and choose aspects of a culture to wear every day? Can something as simple as your outfit perpetuate legacies of oppression? 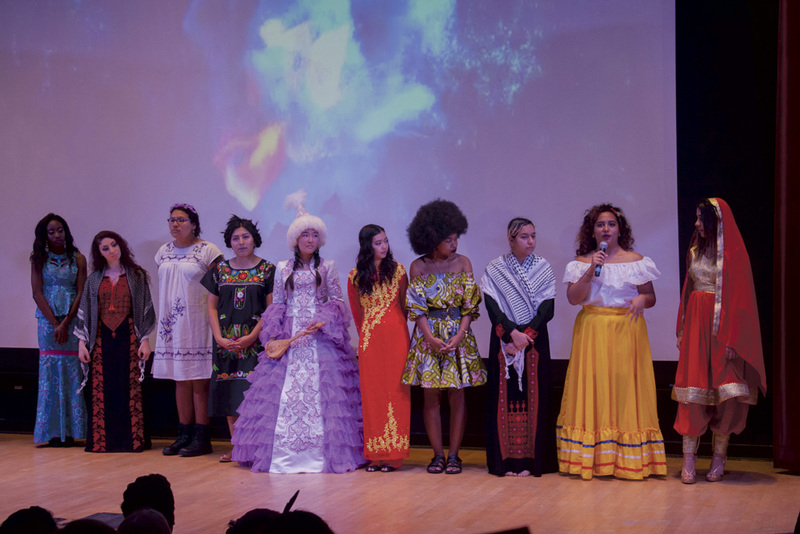 The University of California, Santa Barbara’s Multicultural Center hosted an academic panel, followed by a fashion show, to answer these questions. 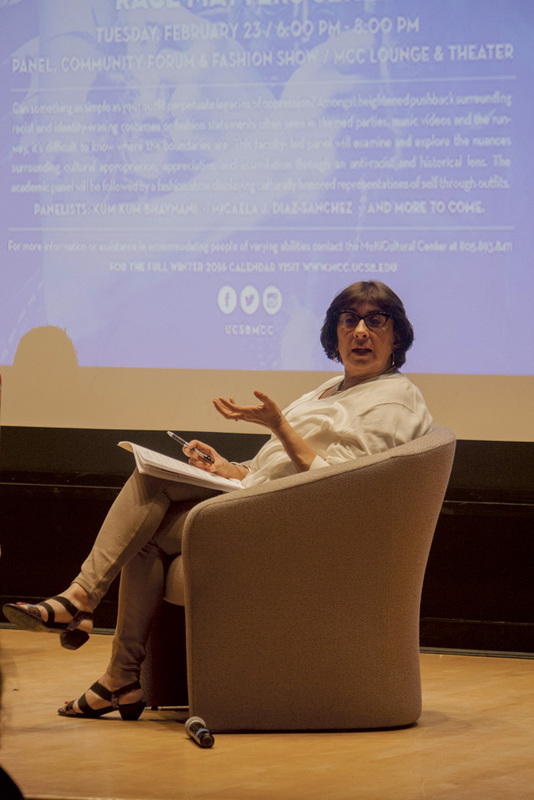 Professors Felice Blake of the English department and Micaela J. Díaz-Sánchez of the Chican@ Studies department spoke on the panel, held on Tues., Feb. 23 and moderated by sociology professor Kum-Kum Bhavnani. Some claim that it is difficult to know where to draw the line, but in general, the allegedly racist and identity-erasing costumes or fashion statements seen in themed parties, music videos and even on Halloween result in a rhetoric which alienates people of color and those who do not identify as white. 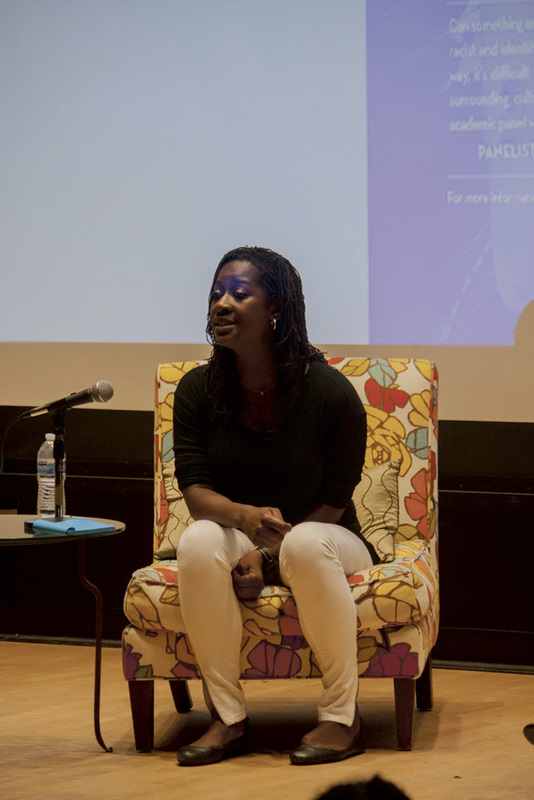 In other words, culture holds a large amount of importance to people of color. When a person who isn’t of that culture wears a significant article of clothing, it is interpreted as insensitive at best and as reinforcing years of historical oppression at worst. When a South Asian person wears a bindi, it is seen by many members of society as “too ethnic” and such people have even been targeted for their choice of clothing. A New Jersey hate group called the “Dotbusters” was active for almost a decade, and their goal was to drive away the Indian population from New Jersey. However, when a white person wears a bindi it is often deemed as “cool” and “exotic.” The dichotomy between this cultural insensitivity and its acceptance by the larger society creates a rift between peoples who should stand united. This idea of selling a culture’s costume for profit is another trope seen in modern capitalism. Stores like Urban Outfitters and Forever 21 are guilty of selling Afghan, Mexican and other culture-inspired outfits for profit. 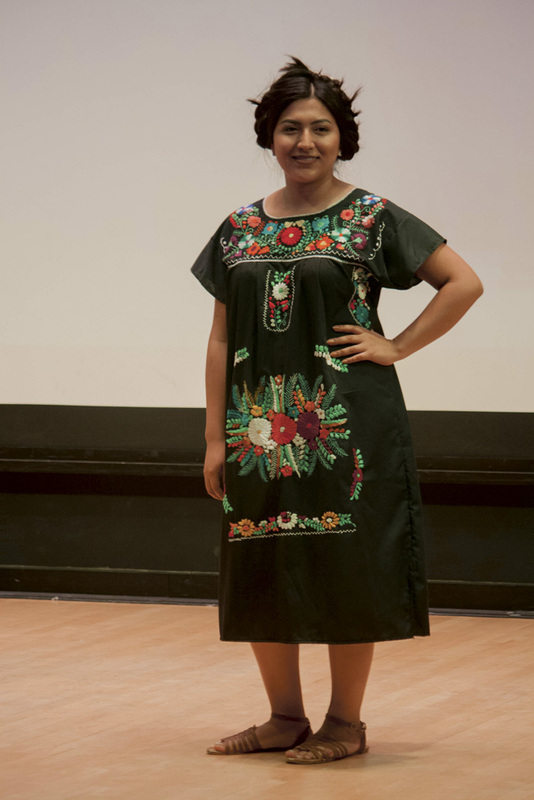 The idea of not understanding the meaning behind the clothing you wear, especially if it has a significant meaning in the host culture, is considered by many to be problematic. Still waiting to know what costume could be “racist” (having or showing the belief that a particular race is superior to another). Not sure how ANY costume or ‘fashion statement” can be “identity-erasing.” That’s pretty weak identity you’d have if someone wearing a scarf or hat or feather that you claim as “yours” would undermine it. Not sure how wearing clothing results in “a rhetoric” (the art of effective or persuasive speaking or writing) that alienates people of color. There is no speaking or writing involved. And people of color only? Because I assume that some “people of no color” have cultures too. Are they of the easily-erased kind as well? Finally, what IS the line between cultural appreciation and appropriation? And who determines it?